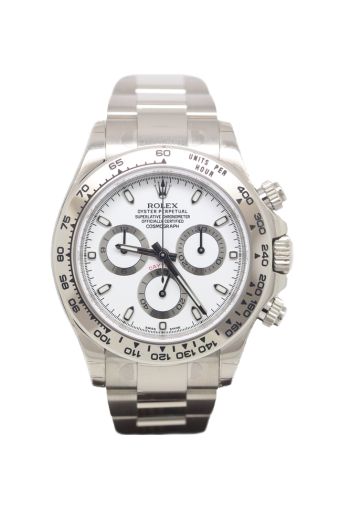 This stunning version of the 18ct white gold Rolex Daytona with chronograph functions features the 40mm watch case in 18ct white gold whilst the dial is classic china white with 18ct white gold accents. Fitted with the 18ct white gold bracelet and deployment clasp. Cheshire Watch Company are supplying this watch unworn with all factory seals intact.